As a child I saw many movies about hell and decided it was not a place I ever wanted to be in for eternity. 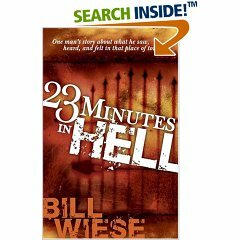 Bill Wiese claims he not only saw images of hell, but that he experienced it physically and emotionally for 23 minutes. Can you go to hell and live to tell about it? Will good people only go to heaven? Is hell a real place with real fire? Will you remember your life on earth while in hell? Bill Wiese answers all these questions and also backs up his own experience with biblical references. His story is convincing and told from the perspective of someone who was placed in a position of extreme stress and vulnerability. He describes his 23 minutes in detail and in a very convincing manner. Dreams can be very vivid and so at the start you have to either believe this is true or decide it isn't something you are willing to believe. 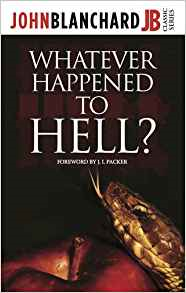 In the first third of the book he explains his horrifying experience of being in hell and then in the second section he talks about near death experiences and why there is hope for anyone who wants to avoid going to hell after they die. In the third section he focuses on verses from the Bible to give a more complete view of hell. The thoughts in this book are somewhat sobering and the idea of spending eternity in a state of emotional distress and physical pain is more than enough motivation to try to find a way not to duplicate Bill Wiese's experience. Fortunately he does provide a message of hope and explains how Jesus Christ is the answer and the Savior of the soul. It seems the new modern thing is to be taken to heaven or hell and to report about the experience. This is a far earlier report than most books I've read. This journey to hell began in 1976 and lasted for 30 days. There is nothing as terrifying to a Christian and Unbeliever than to be told that your soul could still end up in a place of never ending fire, excruciating pain, eternal sorrow and relentless regret. Not to mention the memories of everyone who ever tried to save you from hell going through your mind. In this book a point is made that I think is not well understood and not always substantiated clearly by scripture. That you could lose your salvation if you turn back to a life of sin. 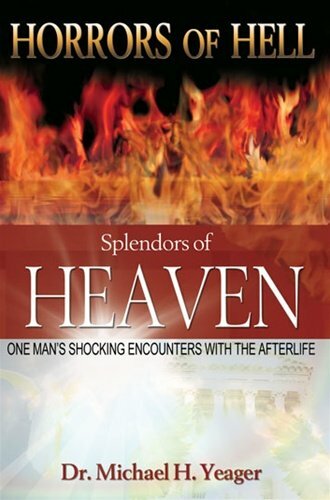 This book indicates that you should repent as much as possible and keep the slate clean with God so you are ready to enter heaven at any time. Reading this book will make you evaluate some of the pet sins in your life that need to finally go. Let nothing stand between you and heaven. Do you struggle with unforgiveness...after reading this book you no longer will. It is not worth and eternity of suffering. Anger, jealousy, hate, etc must all go too as they can lead to much larger sins like murder or suicide. The message of this book is loud and clear: "DO NOT DIE IN YOUR SINS." Whether Christian or unsaved, the message is the same. And for Christians who know the truth and go against the truth, things are apparently much worse in hell. Rebellion against God is sure to land you there. Or even neglect like not reading your Bible so you are hindered in becoming a better person who wants to do the will of God. Reading this book is a very sobering experience and has changed my life for the better. They say the fear of God is the beginning of wisdom. By reading this book you will also realize that the reason you may be having trouble with various sins and temptations is because satan really still believes he can get your soul. You will realize that the forces of evil may still be able to cause you to go to hell unless you are diligent and follow the Bible or are at least repenting each time you sin. To not sin at all would be the goal. To do the will of the Father as Jesus says, is what you should strive for. I hope you will take this book seriously even though it reads like Christian horror. If hell is this bad you don't want to go there and you don't want to not warn everyone you can. So believe in Jesus and repent of your sins. Search your soul for anything that could keep you out of heaven. Christians who are saved but go back to a life of sin may not realize that they are headed for hell. This was the shocking information in this book. This is a book I will eventually buy for some of my friends who don't take hell seriously. Since the soul has been proven to survive bodily death it is imperative that each human make a decision as to where their soul will go after death. 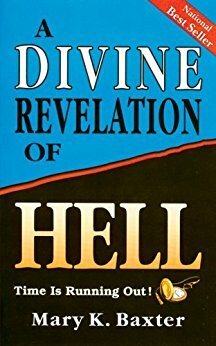 Reading books on heaven and hell is essential if you want to know what happens to people when their immortal soul enters eternity. The truth is most people spend more time planning their vacations than they do planning their eternal final destination. Why this neglect? So the truth is no one has too little time to read this book. John Blanchard believes that "Hell is the ultimate horror." Yes, it is difficult to read a book about souls suffering for eternity. But someone has to talk about it to warn us of the reality. And if Jesus is to be believed at all then it is definitely a reality you want to avoid. This is perhaps the most sobering and riveting book I've ever read. It also answers a lot of questions like whether or not souls sleep, whether or not there is a purgatory or whether there is the possibility of reincarnation. I recently had a dream about my deceased brother who said in the dream: "I don't know if I'm in heaven or hell?" So I was wondering whether there was some place between the two. This book rules out that notion pretty quickly. Since we all have an appointment with death and we don't know how long we are going to live it is necessary to read books on eternity. This book presents the bad choice - an eternity of suffering. However there is hope at the end of the book and a chapter dedicated to telling you how you can escape hell and go to heaven. I recommend you read this book as soon as possible. Your eternity could depend on it. I received one book for review purposes. This review is my honest opinion. Dr. Michael H. Yeager has had many things happen to him. He has had very realistic dreams, visions and a trip to hell and heaven. This book will interest people who haven't read about a horrifying trip to the lake of fire. It is much worse than most books on hell. Dr. Michael H. Yeager claims that he went to the lake of fire in 1975 after asking God for the experience. So he did not actually have a real near-death experience. It seems this was more of an out-of-body experience. To be honest this book is quite sobering and the author desperately urges the reader to listen and learn from his terrible encounter. One of the interesting aspects of this book was the section on the last words of people going to hell, who saw their fate before they died. 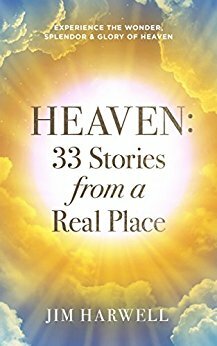 The heaven trip in this book is very short and doesn't describe heaven completely. For books on heaven: see link below. How to Go to Heaven!